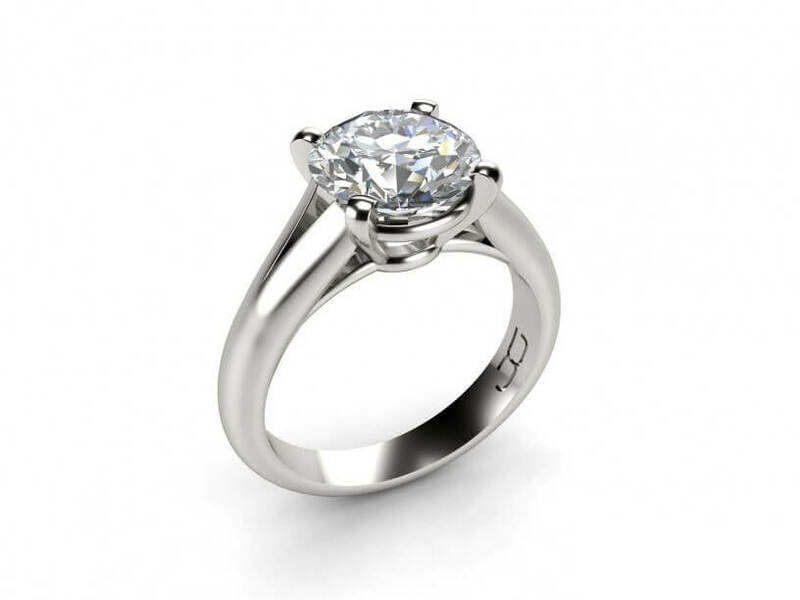 A stunning solitaire diamond engagement ring featuring a dazzling Round Brilliant Cut diamond beautifully held in a classic four claw setting and nestled in a unique split band. 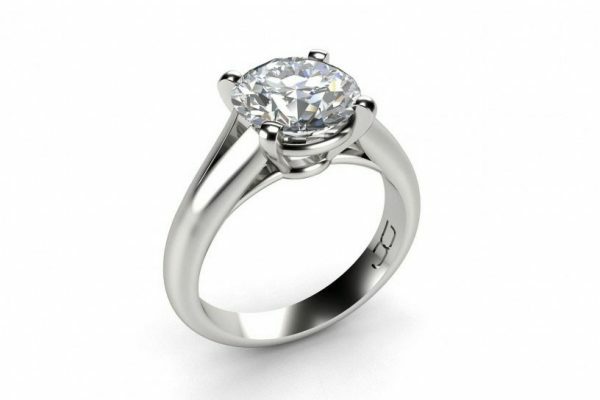 Not your ordinary diamond ring, this unique design is definitely an eye catcher that will make a beautiful statement. 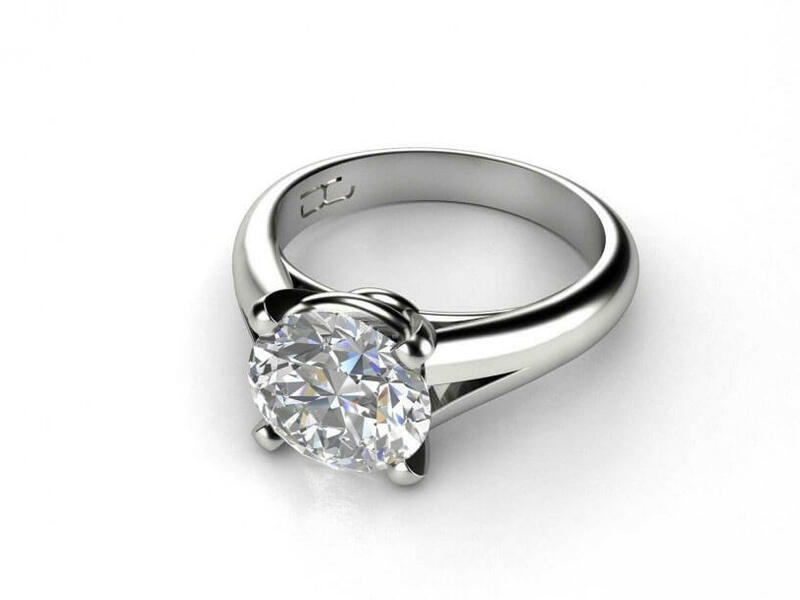 It has been crafted in 18k white gold and can be set with your choice of a GIA certified diamond which can range from 0.70ct to 2.00ct.